Assorted tv collection. 13 items mainly 6x4 photos. 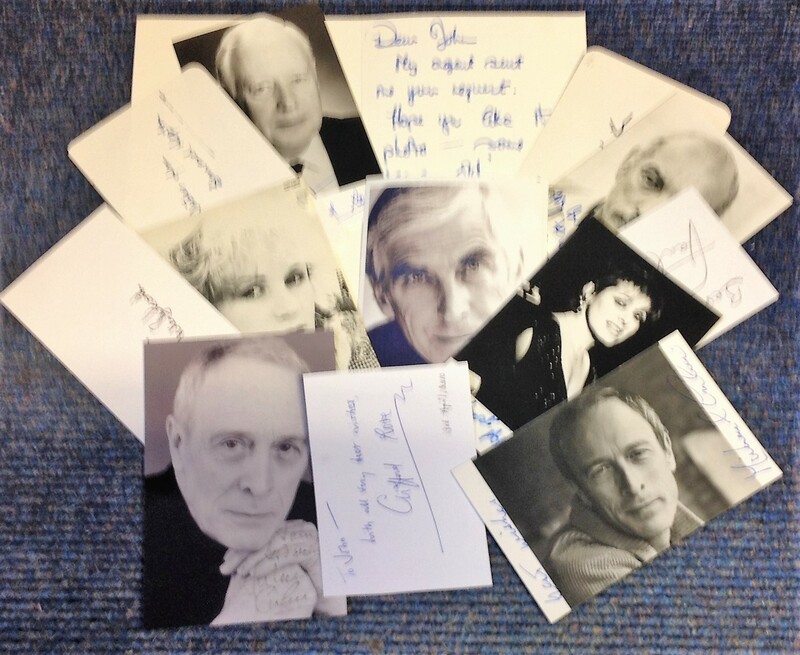 Some of names included are Terrence Hardman, Paul Shelley, Ron Pember, Jack Hedley, Bernard Hepton, Clifford Rose and more. Some duplication and dedicated. Good Condition. All signed pieces come with a Certificate of Authenticity. We combine postage on multiple winning lots and can ship worldwide. UK postage from £3.99, EU from £5.99, Rest of World from £7.99.